400 Gradi were kind enough to invite us back for lunch at their brand-new restaurant in Norwood. Opening on the twenty-first, 400 Gradi has already received a fabulous welcome from Adelaide, with the entire restaurant completely booked for lunch. We were eagerly awaiting our return to this fantastic place after their media launch, and we were not disappointed! 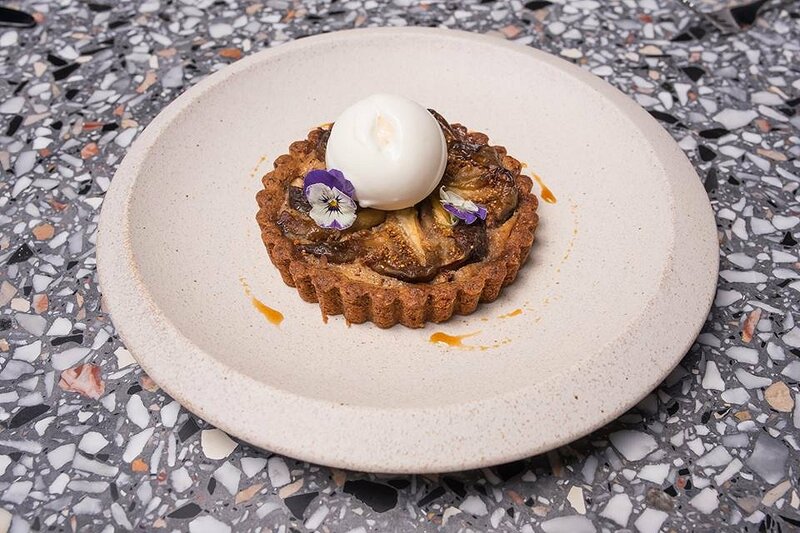 It’s no surprise that 400 Gradi has already captured the hearts of South Australians. With the excellent food, service and atmosphere, the new addition to the 400 Gradi family is booming. 400 Gradi has made Norwood vibrant and exciting. 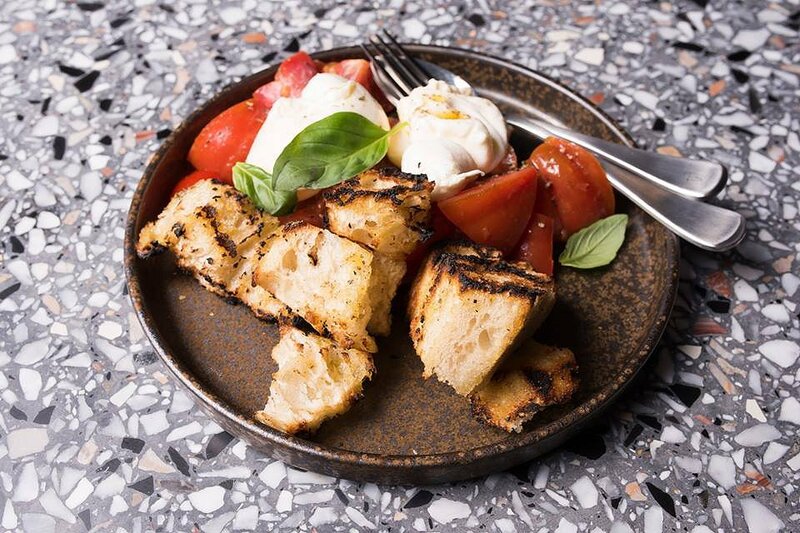 We spoke to owner Johnny Di Francesco on his new restaurant and how he’s finding Norwood. “400 Gradi has brought something special to Norwood. We are in the ‘honeymoon period’ and exposing the area and surrounding businesses. It’s a collaboration and partnership rather than competition [with the other businesses in Norwood].” said Johnny. For lunch, we decided to try a number of dishes that make 400 Gradi stand out, including their award-winning pizzas. 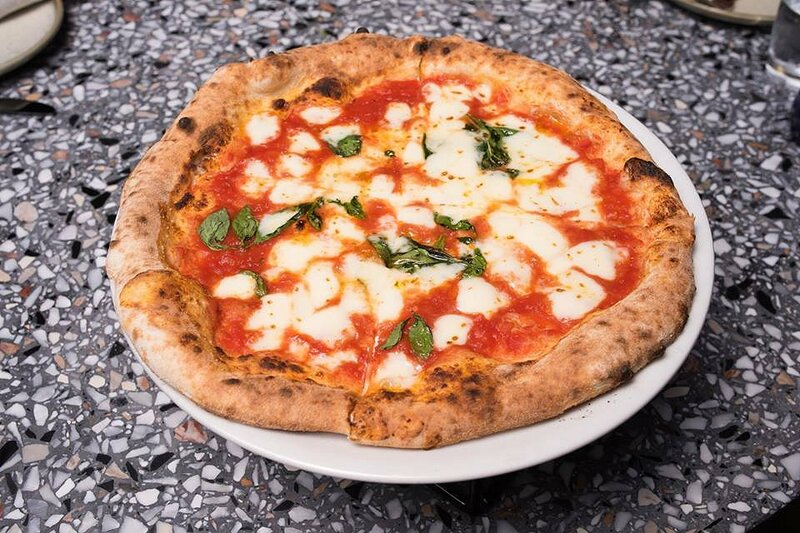 Johnny himself won ‘World Pizza Champion’ at the Campionato Mondiale Della in Italy for his Margarita Pizza. 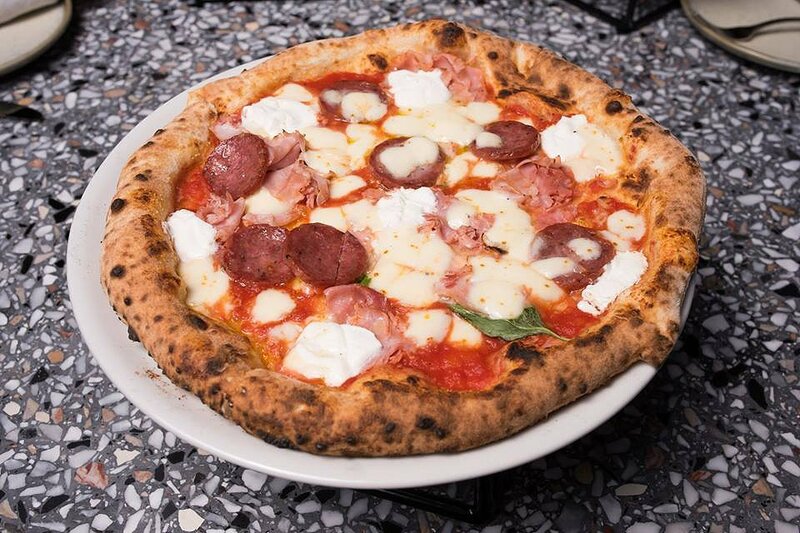 400 Gradi have also won 2018 Best Pizza in the Oceania region as well as being named as one of the top 50 pizzerias in the world. 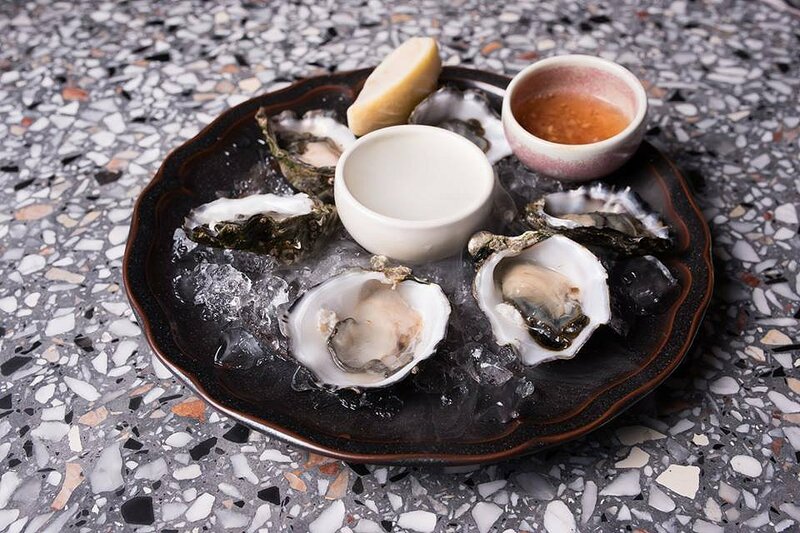 One of nature’s true delights, these fresh oysters hail from the famous Coffin Bay and are shucked to order at 400 Gradi. These oysters went down a treat! Coffin Bay oysters are the ultimate indulgence, being silky and velvety in texture. Fresh and salty, these oysters are perfect to start your experience at 400 Gradi, along with a glass of bubbly of course. 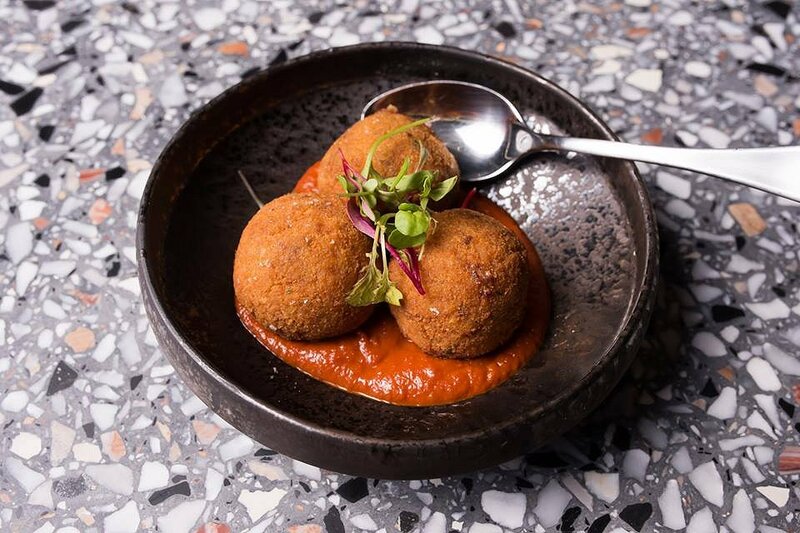 Arancini has become a huge trend in the foodie world, and 400 Gradi’s really hit the spot. Crisp on the outside and filled with gooey mozzarella, these Arancini balls are tasty and creamy. Served with a sweet bolognese sauce, 400 Gradi’s take on Arancini is a delight. Soft and creamy buffalo mozzarella is partnered with the sweetness of fresh tomato and the crunch of freshly toasted bread. We really loved the mellow cheese and how it contrasted well with the crusty bread. A very rustic and simple starter, this bruschetta is fantastic to share. 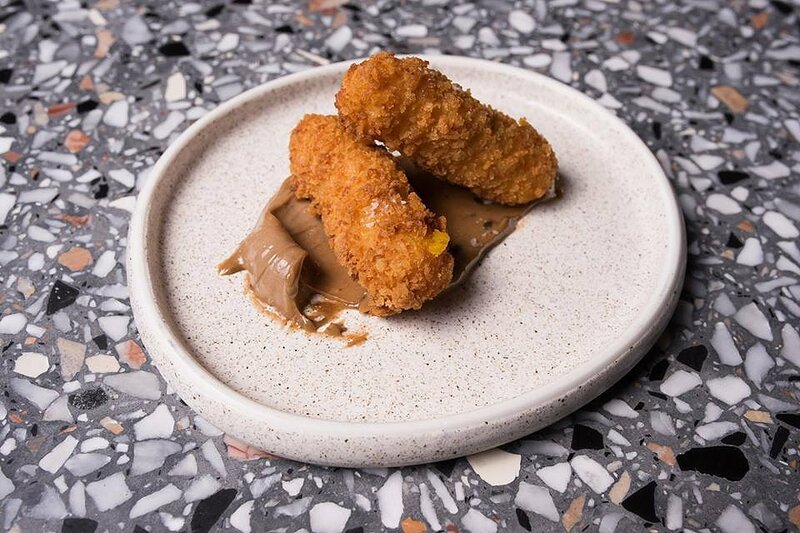 Buttery pumpkin puree is coated in a crispy seasoned coating and deep fried to create one of the tastiest things we’ve ever eaten. We love the contrasts of texture with the smooth pumpkin and the crisp coating. Dipped in black garlic aioli, these crocchettes’ are tangy, sweet and creamy. This pizza was crowned the ‘World Pizza Champion’ in 2014 and still lives up to that title. With a perfectly crisp crust, tangy tomato sauce and delightfully creamy fior di latte cheese, this pizza is simple but very effective. This fresh pizza is packed with punches of flavour. 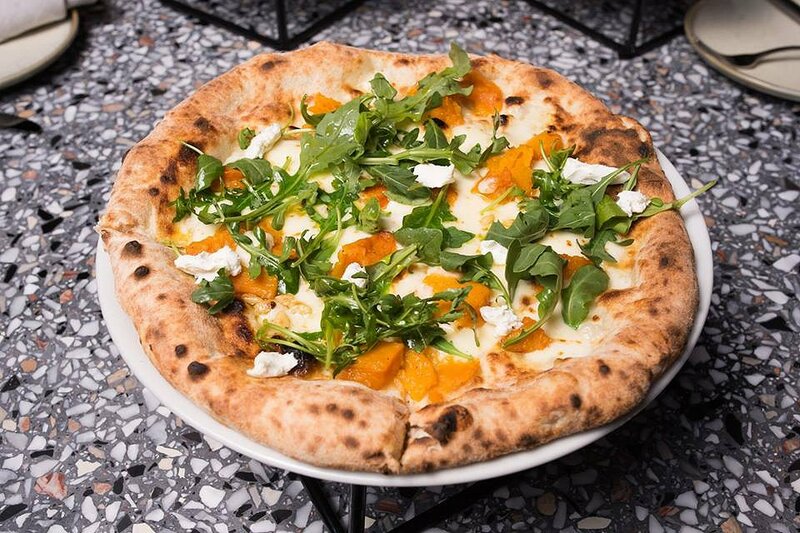 Topped with peppery rocket, soft pumpkin, tangy goats cheese and pinenuts, this pizza is a fabulous mix of tastes and texture. A perfect vegetarian option as well as being very colourful and tasty. The ultimate meat lovers pizza! The carnivora definitely takes after its namesake. With mild salami, prosciutto, ricotta, basil and tomato, this pizza is amazingly savoury with twists of creaminess from the different cheeses. A definite favourite of ours, the carnivora is a definite must! A buttery base frames this sweet and tangy tart. We could really taste the fresh figs in the topping and hazelnuts in the base. Paired with a creamy mascarpone gelato, this dessert is decadently rich and creamy. 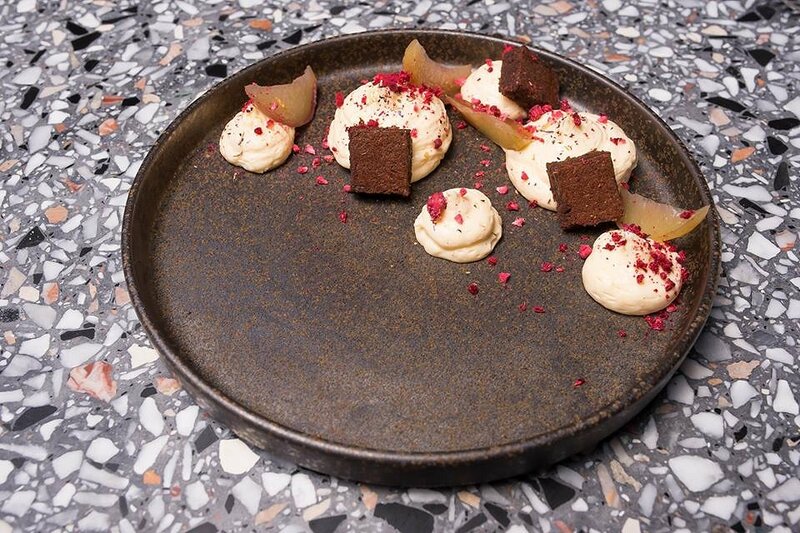 Smooth and fluffy mousse is expertly piped onto the plate and topped with orange brownies and dried raspberries. The mousse was so soft it was like eating a pure cloud. The brownie was rich and packed with a citrus kick, paired with a sprinkle of sweet raspberries. 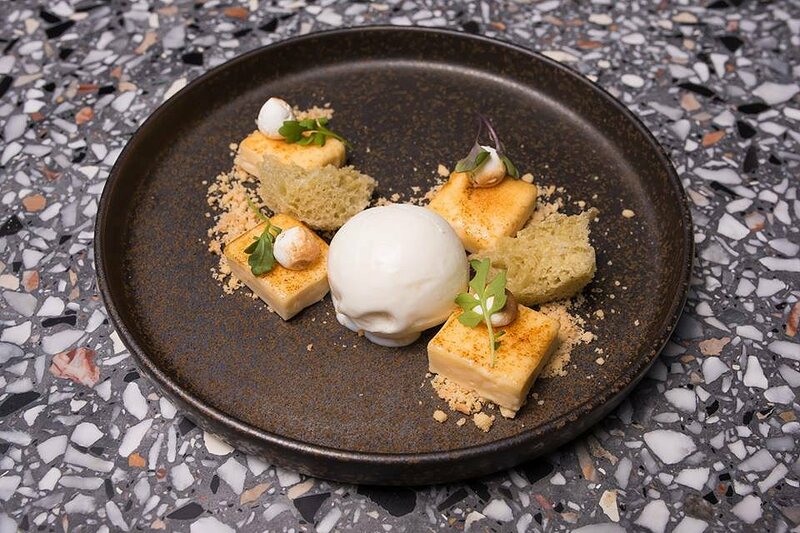 The different textures in this dessert makes it unique and one of our favourites. An Italian favourite dessert, 400 Gradi’s Tiramisu is bittersweet and creamy. We loved the liquor-soaked sponge with the rich chocolate and bitter coffee flavours. 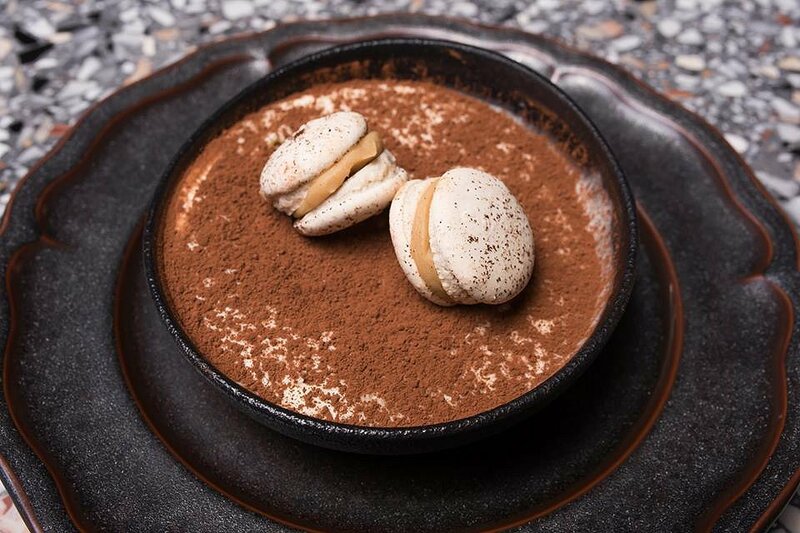 Topped with two light coffee flavoured macarons, this tiramisu definitely does not disappoint. This entire dessert is a masterpiece. We absolutely loved the tangy sweetness from the lemon curds with the fresh creaminess from the coconut gelato. With a sweet crumb surrounding the curds and fluffy meringue on top, we loved this refreshing and palette cleansing dessert. Calling all chocoholics! This calzone is not for the faint of heart! 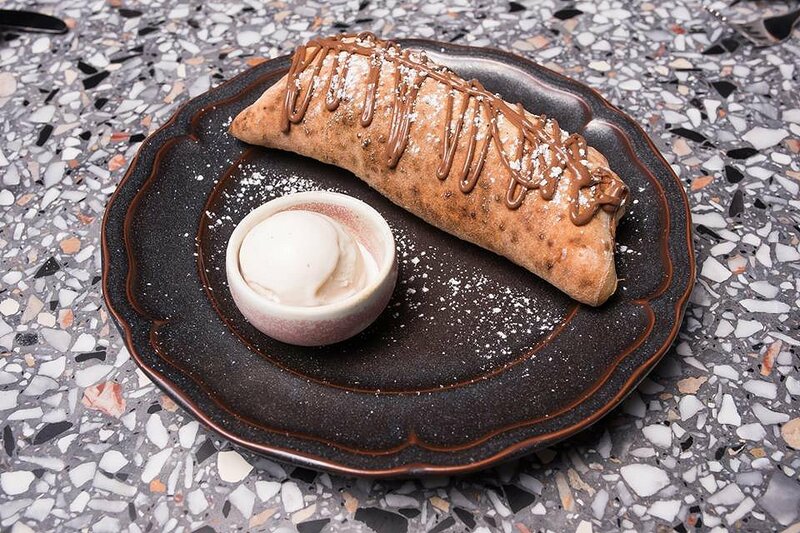 Oozing with warm Nutella, this sweet calzone is almost too easy to eat. Drizzled generously with Nutella, we couldn’t get enough of this chocolate-filled dream. Thank you so much to 400 Gradi for once again delighting us with your award-winning food once again. We look forward to returning to try even more of their extensive menu! If you would like to visit 400 Gradi, they are open Sunday-Thursday from 12pm-10pm and Friday-Saturday 12pm-11pm.